Urban grid or daily grind, this classic messenger fuses vintage vibes with practical every day organization. Internal sleeve protects your laptop and plush faux suede dials up the style. 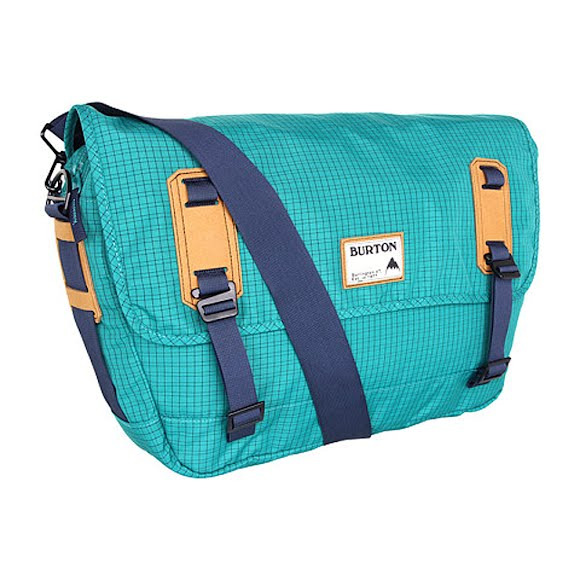 The Burton Flint Messenger is a classic design that excels in intense environments thanks to a synthesis of practical internal organization, 20 liters of space, and padded laptop protection. Urban grid or daily grind, this classic messenger fuses vintage vibes with practical every day organization. Internal sleeve protects your laptop and plush faux suede dials up the style. The Burton Flint Messenger is a classic design that excels in intense environments thanks to a synthesis of practical internal organization, 20 liters of space, and padded laptop protection. From a style standpoint, this messenger exudes a deep rooted feel with faux suede detailing, dressed up fabrics, and heavy vintage vibes. Measurements 12"x 20"x 4", Laptop compartment: 8.75"x 14.75"x 1.5"